Brian Buccellato wants you to join his cult. 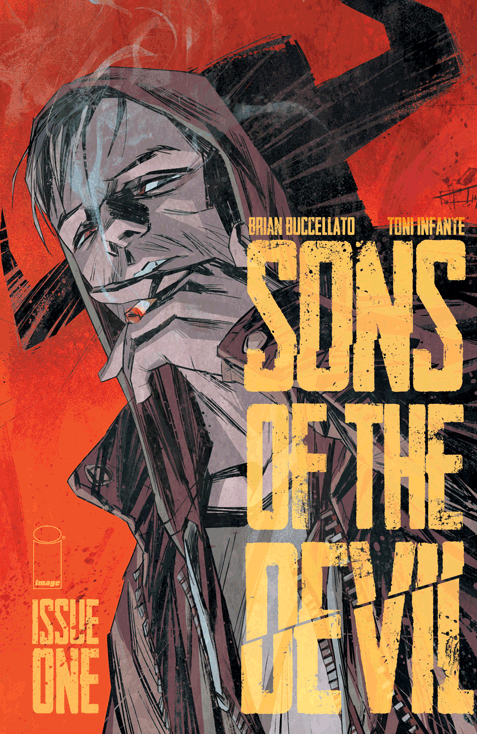 The writer, best known for collaborating with artist and co-writer Francis Manapul on The Flash and Detective Comics, makes his Image Comics debut today with Sons of the Devil, a gritty psychological horror story brought to life by Spanish artist Toni Infante. The duo first summoned SOTD into existence last year following a successful Kickstarter project, with funds paying for both the first issue of the comic and a live-action short covering the same story. Now that the series has found a print publishing home at Image, Buccellato and Infante have the opportunity to dig deeper into the life of Travis Daly, whose cult leader father sired nine children and needs them all to fulfill a sinister destiny. Travis, now 25, has grown up in foster care and is struggling to find his place in Venice, California when his biological past shows up to haunt him. 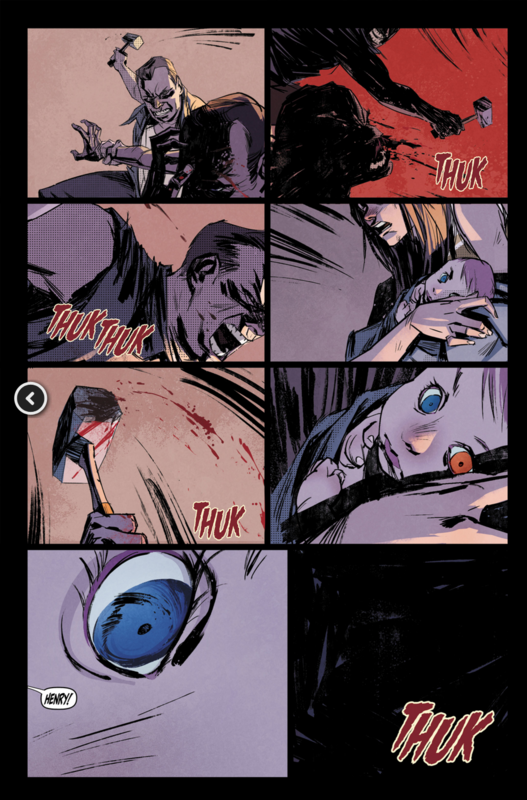 Paste spoke with Buccellato about crafting a multimedia story, bringing Infante into the American comic scene and the human mindset that allows cults to flourish—and kill. 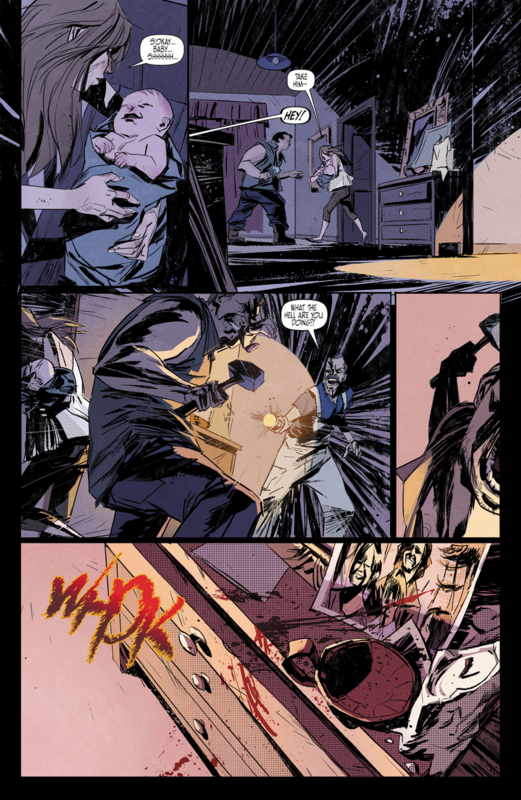 Paste: It’s been nearly a year since you debuted Sons of the Devil on Kickstarter. How does it feel to have it finally hitting stands under the Image banner? Brian Buccellato: I’m incredibly proud more than anything. There are a lot of people and a lot of hard work involved in making it a reality. I can’t accept all the accolades myself, but it feels like a really awesome team effort. Paste: Has your plan for the series changed much since finding a home with the publisher? Buccellato: Originally, for Kickstarter, I had planned to do it in a way where it could be self-contained, just in case I wasn’t able to do more, but the plan was always to use it as a launching pad. Whether I self-published it or however I brought it into being, I wanted it to be an ongoing series. I think it did change once it started looking like Image was actually going to be a reality, because I got to hunker down and really start fleshing out the world in a way I probably wouldn’t have had it just been one 38-page story. Paste: SOTD started life as a multimedia project, with initial funds going to your first issue and toward a live-action short. Do you have plans for more live-action content? Buccellato: Well, what I’m doing now is making the rounds and pitching it as a pilot. There are very few homes today for a digital series like this. When I conceived of the idea to do this multimedia project, I talked to my manager and people close to me and it seemed like doing these 10-minute, 12-minute installments was a viable platform, but in the time it takes to get all the stuff done and finished, the landscape changed, and people are looking for more long-form content. So it’s really tough to answer whether there’ll be an episode two or chapter two because that one episode cost $30 grand. [Laughs] There’s a lot that goes into making something like that without the avenue to get financing. It’ll probably, if it comes back, come back as a sort of one-hour show. Paste: How essential is watching the short film to understanding the whole story of SOTD? Buccellato: I think tonally, it’s pretty important. Interestingly enough, the short covers things that happen in the first three issues of the comic book. We start the comic before the short, and the comic series catches up basically at issue three. I don’t think it’s essential to read it—you can read the comic or watch the short independently—but I feel like it’s more added value. Seeing the characters come to life and feeling the tone and understanding what I’m going for with all your other senses, with sound and sight, I think that helps, but you don’t need to watch it. Paste: Your protagonist, Travis Daly, learns that his father is a cult leader. What kind of research went into creating your fictional cult? How deep did you dig into the psychology behind cults and their history in the U.S.? Buccellato: Well, I read a lot. I did my research on Jonestown, on David Koresh, on Charles Manson, and some assorted other guys whose names escape me now. The guy who had the mass suicide where they were all supposed to go on some spaceship [the Heaven’s Gate cult]. I read tons and tons of material. Anyone’s who’s a writer makes an effort to understand human nature, so I don’t think it’s that hard to extrapolate what kind of persons can become a cult leader. That cult of personality, that ability to manipulate, where does it come from? I have a whole backstory for David Daly, and in the comic book you’ll learn it all over time. There are a lot of flashbacks in the first arc, and I think the flashbacks will be even more numerous in the second arc. You’ll really get a sense of who David is and why he’s doing what he’s doing. Part of it is nurture and part of it is a supernatural element that’s thrust into his life. Paste: SOTD is described as a psychological thriller, but cults often trade on promises of life beyond death. Do you plan to make the supernatural territory explicit or keep things more ambiguous? Buccellato: I’m definitely playing with it. There is an absolute supernatural presence. It won’t be confirmed for a while so I guess that’s a bit of a spoiler. [Laughs] But there absolutely is a supernatural presence. It’s one of those things where you could explain it away. So if you’re a real doubting Thomas, you could say no, it’s not real. Paste: What was the most disturbing information you found during the course of your research? Buccellato: I originally read Helter Skelter, the [Vincent Bugliosi and Curt Gentry] book on Charles Manson when I was sixteen, and it actually scared me. To this day, I can’t watch movies with home invasion. I think it’s that ability to make people do things that you just can’t imagine they could do. Talking someone into murdering or graphically disfiguring a pregnant woman. Talking 700 people into suicide like Jim Jones. Those things are horrifying, that people could want to belong to something so bad that they’re willing to do these things. To me, it’s fairly obvious what the downside of a cult is, but when you read about it and you read that it actually happened, that’s the astonishing part. Paste: You’ve teased that one of the driving elements of the plot will be Travis’ father tracking down his other eight children. How big of a role will these siblings play in Travis’ life and in the central story of SOTD? Buccellato: In terms of plot, they play a huge role, because there is an endgame for David Daly and it involves all of his children. As far as Travis, he sees himself as a bit of a savior. He takes on the responsibility to find his siblings and protect them from their father. Travis is a character who grew up in foster care and feels like he doesn’t have any worth because his parents abandoned him. His need to find family is what drives him ultimately. The big lesson he learns in however many issues I get to tell is that the family you choose is more important than your biological family. He has a family that he is building with his girlfriend, yet the desire to know where he came from and to find his biological family compromises that. Paste: How far do you have the series planned out? Buccellato: Image gives you the best chance to succeed doing creator-owned comics, but it’s still creator-owned comic books. The way attrition rates of books go with retailers ordering them, it’s often very hard to stay afloat. Numbers steadily drop. It’s rare that a book holds at a good number. There will be a minimum of ten issues but I’d like to do 36. Paste: SOTD is set in the LA area, where you’ve lived for years. How big of a role does Venice play in SOTD? Buccellato: That’s actually the first place that I lived when I moved to LA. I like the grittiness of it. It’s a strange neighborhood to me, because on one hand it’s palm trees and sand and the boardwalk and tourism, but just a block or two in you have these gritty homes and, I don’t know, sort of a gritty vibe I’ve never been able to shake. Santa Monica isn’t like that, the other neighborhoods aren’t like that, so for me, it was just natural to put it in that setting. Visually, I find Venice to be really interesting. 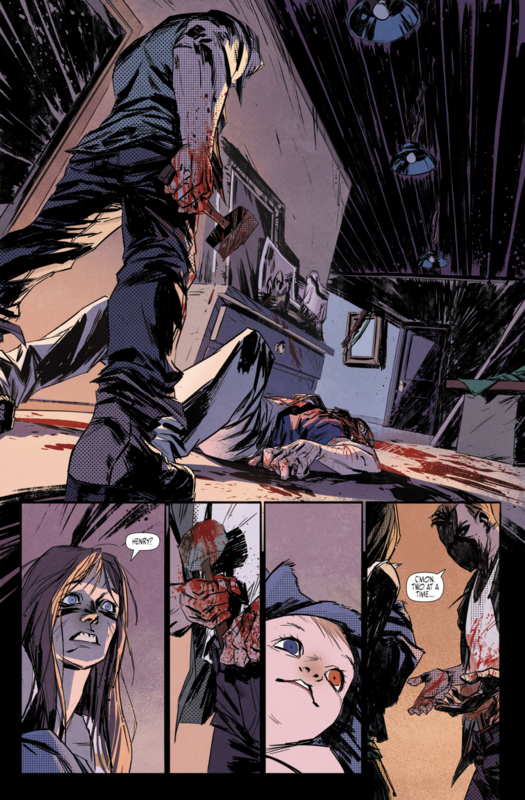 Paste: Toni Infante provides art for the series. What’s your creative process like after a year of working together? How involved is he in pacing and crafting the story? Buccellato: Well, I think it’s always different depending on the particular artist. When I work with Francis [Manapul] and we write together, it’s a completely different dynamic than when I work with other people. In terms of how it works with Toni, I give him a full script. I break down panels, I send him tons of jpeg references. He has the full script when he sits down to draw. And he’s always welcome to combine panels and take it where he wants to as long as he’s staying true to the story, which he always does, but I generally give him a full script all the way, panel, page, the whole nine. In the first issue I had more revisions or more notes on his art, but by issue two, I almost had nothing to say but, “Wow, awesome.” People don’t know who he is because he’s never done American comics, but I’d put him up against any other artist out there. Paste: And you found him through a cold call online, right? Buccellato: He lives in Barcelona, and the funny thing is, I’ve never spoken to him, I’ve never met him, all of our correspondence has been through e-mail. There’s a website called behance.net which has portfolios of different artists, and I just cold e-mailed him. I saw his art and I was like, There’s no way this guy is available, he’s probably working all the time, and I asked him, “Hey, are you interested and what’s your rate?” and he told me and I was like, “Hey, can we do it?” [Laughs] I feel really lucky. It’s so hard to find collaborators, especially artists who can work on deadlines. I almost can’t believe it. I can’t say enough good about him. I’ve been coloring for years and I was willing to color it but he asked to color it himself. He’s just a monster. [Laughs] He’s awesome. 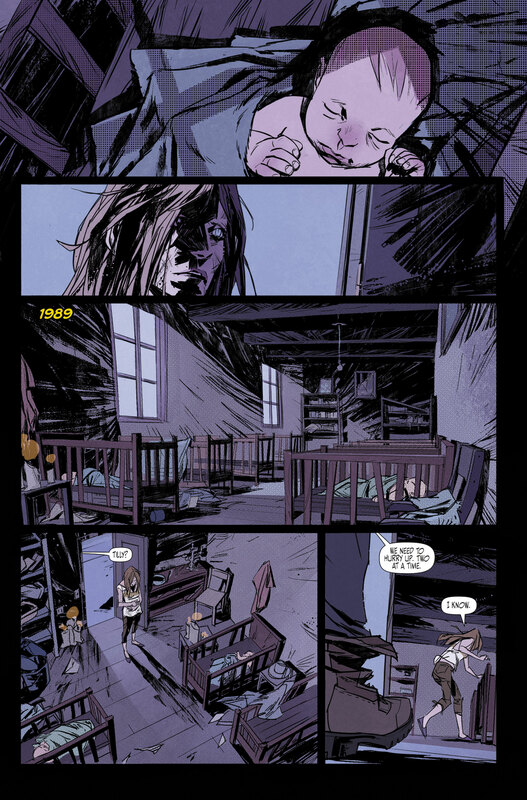 Paste: Aside from SOTD, you’ve self-published before with Foster and are staying busy at DC. Do you have other creator-owned ideas in the pipeline that you’re ready to tease? Buccellato: I do. I have another writing partner named Jen Young and we’re working on something called Cannibal. I did find an artist and I can’t announce who that artist is yet, but he turned in some awesome concept art. I’m just beginning the process in terms of the publishing, and she and I are moving forward on the story. It’s something she created many years ago so she’s got plenty of material to draw from. I think when it happens, it’ll happen pretty quickly. Almost everything that I’m drawn to and that she’s drawn to is a character-driven relationship built around some kind of big idea. Paste: What has it been like for you doing creator-owned stories versus working for the Big Two? Buccellato: I get to pace the story out the way I want it. I don’t feel rushed to cram in a lot of plot points and get to the next big story moment. It’s been really fun and refreshing to be able to really explore Travis. The plot moves forward and things happen in his life, but I’m not rushing it. At this pace, he won’t really know what’s going on until the second arc. It’s fun to be able to write and be able to establish the world and create something that’s not just plot point A, B, and C. I’m having an amazing time doing it. It’s not to discount what I do for DC because that has its own advantages. You’re able to reach a larger audience of people, you’re able to create a persona and a library of work, and you get a steady paycheck. So there’s a lot of great things about it. And you get to work on characters like Batman. Who wouldn’t want to do that? It’s sort of a no-brainer. [Laughs] The great thing about doing creator-owned is you get to feed the other side of your soul, the parts that are yours.